If you are just starting to play the violin and aren’t sure if synthetic strings are better than the gut or steel ones, read our article on that and see what’s best for you. 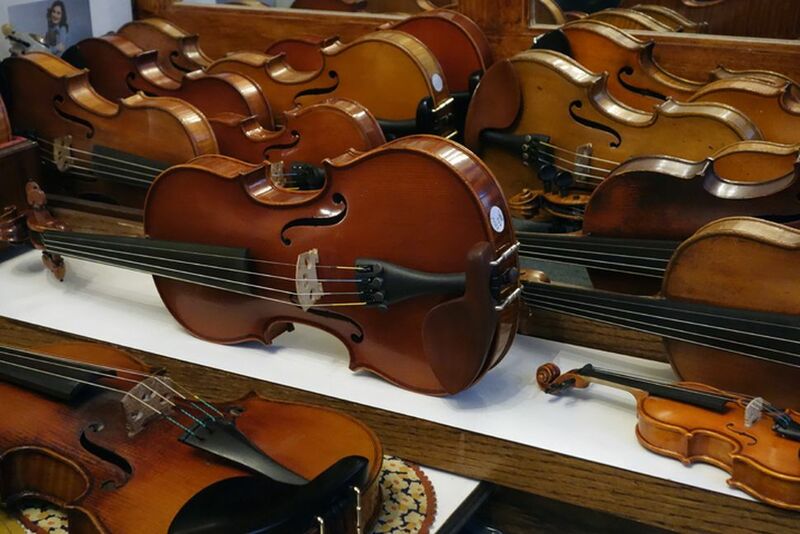 And if you’re a beginner, you might also want to read what we have to say about Kun violin rests and other shoulder rest models. Learning to play the violin takes time and, unfortunately, this instrument is one that is harsh to beginners. When you play the piano you can get some music right from the beginning, with relative ease. But the violin is different, you need to be patient and to learn a lot until you’re able to produce beautiful music. Here are some of the challenges that you must overcome in order to achieve greatness when playing this beautiful instrument. The violin is a gracious instrument that requires excellent concentration and a great posture to be played correctly. It is an instrument that is held and played in a unique way, being placed on the left shoulder under the chin, giving the beautiful impression that the player and the violin are connected physically too. 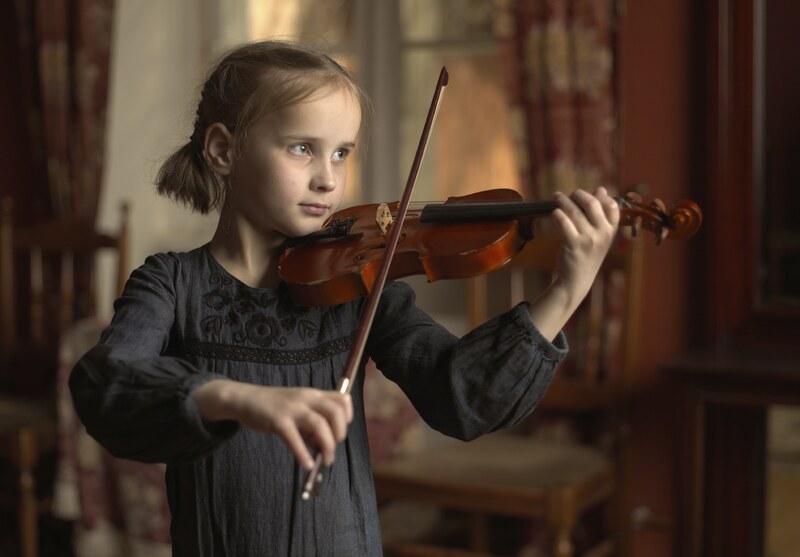 A student may find it difficult to hold the violin in the perfect position. Holding it lightly with the left hand, pressing the strings with the same hand, and using the right hand to operate the bow is a hard task. And while doing all of these, you need to coordinate your left and right hands, although they sometimes make different moves. It’s a challenge to use a single hand, so using them at the same time is hard to achieve. However, this will come naturally the more you play the violin. Unlike the guitar, the violin doesn’t have frets on its “fretboard”, so there is no physical guide to help the player in hitting the desired notes. That is why it’s a more complex instrument and you might find it harder to play – the main thing that determines the quality of the sounds is how good the player is. The placement of the fingers of the left hand is what differentiates a note that is in tune from one that isn’t. At first, you will struggle to find the perfect tone, and your violin will probably sound horrible. But after some time of steadily practicing how to position the fingers, you will be able to place them correctly without even looking. You will develop the muscle memory that will help you with this. Although this is a challenge that’s hard to overcome, there are certain techniques and teaching methods that you can apply to make the process faster. One popular such technique is the Suzuki Method, and this one is most suitable for young beginners. In this method, the art of playing the violin is treated as a language and the student needs to embrace it step by step, day by day. In other words, children should be exposed to music every day and they should be encouraged to play the songs by ear and not by reading written music. By being exposed to music so much and being encouraged to think about music, children develop a good ear and are more talented. But for adults, this method doesn’t work that well, especially if you have lived most of your life without paying too much attention to music. You can use another method to help you progress faster – by sticking pieces of tape to the violin you can create your own frets and they should help you have a better understanding of where to place the fingers. There are certain people that don’t have a musical background and they don’t know much theory, but they are great at playing instruments by ear. Although that is possible, it requires years of work or a huge amount of talent. But if you really want to achieve the highest levels of expression, you need to learn how to read music. Only by knowing the theory you can go beyond what you already know and get more creative. The process of learning how to read music is a time-consuming one but the results are worth the effort. And because the violin is such a complex instrument you will also need to learn some specific terminology and not only the basic music theory. On a piece of written music for violin, you also have markings that are used to indicate vibratos, pizzicatos and the direction in which the bow is played. There are many other terms used for violin music sheets and you will need a professor to guide you through all of them. And this is where you might face another challenge. Finding the right teacher is sometimes difficult, especially if you’re an adult and your schedule is a bit more complicated. You can learn to play this instrument by yourself, or following tutorials on the internet, but that is difficult and you may learn things the wrong way. A qualified teacher will be able to help you overcome the challenges that appear when you play. As the saying goes, practice makes perfect, and to play the violin well you need to practice a lot. It’s an unforgiving instrument that will sometimes make you very frustrated. If you want to learn the violin you should take the time to play it every day, maybe for hours each day. Only by playing regularly you will be proficient at it. 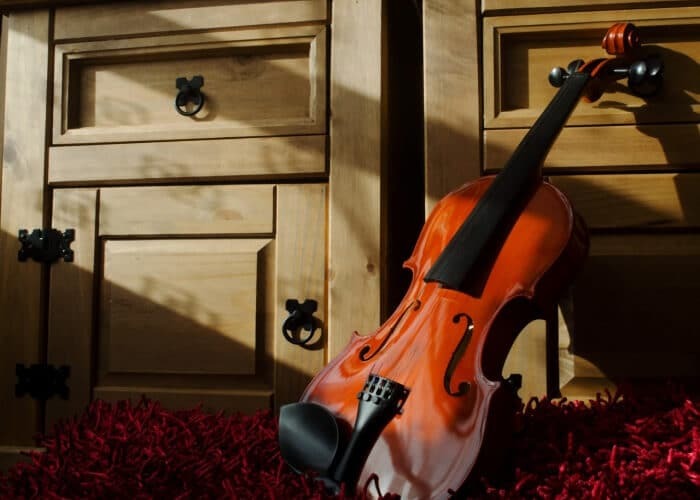 You probably have a busy life already, but if you want to dedicate yourself to playing the violin you will have to play a little bit every day. At first, you might get frustrated by the lack of experience and inability to coordinate your fingers and your bow, but you shouldn’t be affected by that, as this learning phase will pass. Listening to yourself playing can be difficult and you might have issues with variations of speed when you learn bowing techniques. If you feel that you get too frustrated, the best way to get over that is to concentrate your playing time in short and intense periods of time. If you do that daily you will eventually get past this problem.